Thank you for urging Congress to demand diplomacy with North Korea! "Thank you for urging Congress to demand diplomacy with North Korea!" Noted. Thanks, Freya. 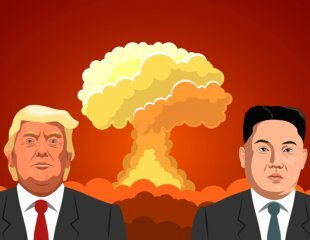 Open communication is the only way to avert disaster, as Trump and Kim Jong un continue to bait one another. Signed. Thanks Freya. Well at least he is prepared to talk. Obama refused. 'Thank you for urging Congress to demand diplomacy with North Korea!